Una serie de restos humanos de 4.000 años de antigüedad fueron hallados por un grupo de arqueólogos gracias a unas obras de construcción en Jerusalén, anunció este martes la Autoridad de Antigüedades. Los expertos señalaron en un comunicado haber descubierto en el oeste de la ciudad un campo de más de 20 hectáreas que había sido utilizado para la inhumación entre el 2.200 y el 1.600 antes de Cristo. Entre los hallazgos, destacan restos humanos y de animales, de más de 4.000 años de antigüedad, así como objetos de metal, cerámicas y armas primitivas. Yanir Milevsky, al mando de las tareas de búsqueda sobre el terreno, precisó que el descubrimiento no era el primero de este tipo en la región, pero "la (gran) cantidad de objetos y su estado de conservación particularmente bueno permitirán ampliar el conocimiento sobre las aldeas agrícolas de la región de Jerusalén en ese período". 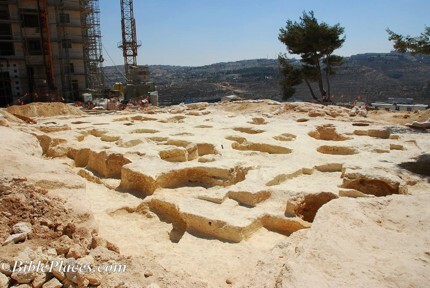 Containers for ritual offerings, weapons and jewelry are among the finds uncovered this week after builders in Jerusalem's Bayit Vagan neighborhood stumbled upon a 4,000-year-old Canaanite cemetery. 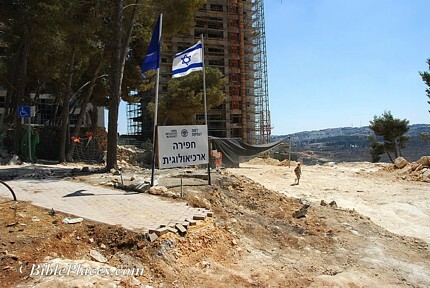 The Israel Antiquities Authority was alerted back in July when builders working on apartment buildings in the Holyland Park Project found evidence of ancient tombs. The remarkable finds were only discovered this week. 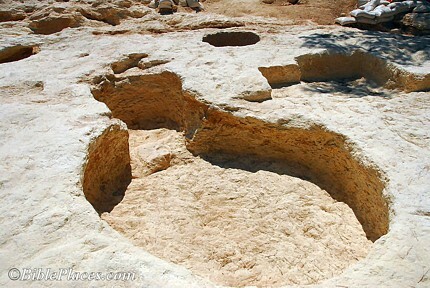 The dig's director, Yanir Milevsky, said that "the quantity of items and their particularly good state of conservation will allow us to enlarge our knowledge of farming villages during the Canaanite era." The authority said the site covered more than 200 dunams and contains human and animal remains, as well as metal and ceramic artifacts and weapons, dating back to between 2,200 and 1,600 BCE. The approximately 50 tombs originally date from the early Bronze Age (2200 BCE to 2000 BCE), but were apparently dug up and used again about 1700 BCE to 1600 BCE, an authority spokesman said. The main finds were from the latter period, because when they were reused, most of the original contents were cleared out. Archeologists working on the site uncovered pottery vessels of various sizes which they said appear to be containers for spiritual offerings - mainly jars, bowls and jugs - as well as human remains. The containers' contents, which consisted of mostly perishable foods or liquids, have disappeared over time. One of the archeologists, Zvi Greenhut, called it "a very important finding," adding that "the last such find from this period was many years ago." 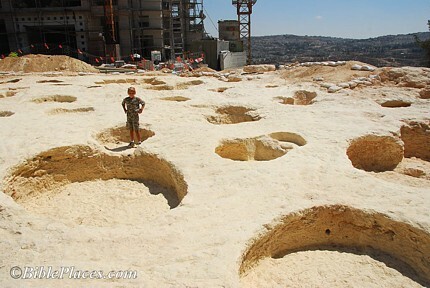 He said the burial sites have entrances through a shaft and have thus been termed "shaft tombs." 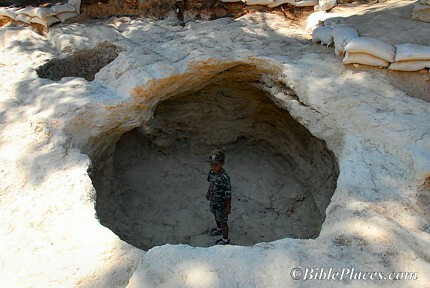 The shafts were quarried straight into the bedrock, and then a cave was dug out to house the tomb proper. The archeologists said that in accordance with the common belief of the time, the offerings were given in the expectation of feeding the departed in the afterlife. Such beliefs were said to be heavily influenced by the cultural dominance of Egypt at the time, which was at the zenith of its power. Animal bones, supposedly sheep or goats, were also found. Milevski said he believed they were the remains of more offerings. Some of the tombs contain bronze weapons, mainly daggers and axes, and in others jewelry, including Carnelian and Amethyst beads, was discovered. Bronze and copper tools were also found, such as borers and other perforators as well as bones with drawings on them, most probably decorations, according to Milevski. In terms of the salvage possibilities, he said, "We have a lot of complete vessels, and also many shards that we can restore in the laboratories." 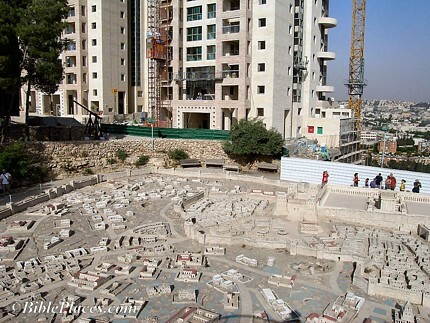 Twenty years ago, Milevski worked on his first-ever archeology excavation in Israel, where the Malha Mall stands today, not far from the present day cemetery excavation. 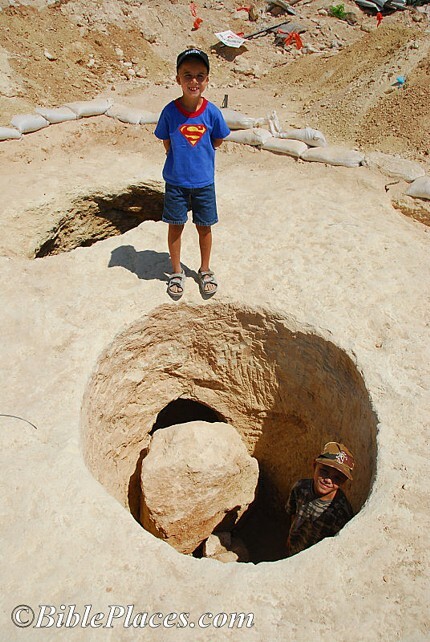 The diggers at that site discovered village ruins dating to around 1700 BCE, the same period as the current excavation. Milevski confirmed the connection between the two sites, and said: "We are more or less sure that the cemetery belongs to the village... It completes the picture. Now we better know this area." The vessels found in the tombs will be moved to an Israel Antiquities Authority storage facility, and some may eventually enter the Israel Museum. The Holyland Park Project construction company, however, will destroy all of the cemetery, said Milevski. 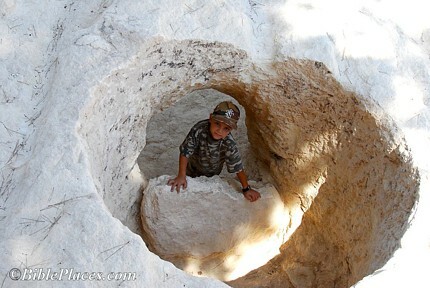 "They need to remove all the bedrock for the construction of the foundations," he said. "They need to go maybe 20 meters down." Asked about the tombs' inevitable destruction Milevski said: "I don't feel good about it, of course, but now at least we have the information."